Shore trench walls with supports. Shield trench walls by using trench boxes or other types of supports to prevent cave-ins. OSHA standards require that trenches and protective systems be inspected daily and as conditions change by a competent person before work begins. 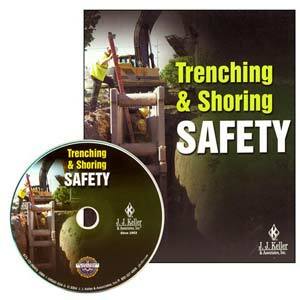 J. J. Keller's Trenching & Shoring Safety DVD Training Program helps your employees avoid trench accidents by training them on safe excavation-site procedures.